Fourteen-year-old Ahmed is stuck in a city that wants nothing to do with him. Newly arrived in Brussels, Belgium, Ahmed fled a life of uncertainty and suffering in Syria, only to lose his father on the perilous journey to the shores of Europe. Now Ahmed’s struggling to get by on his own, but with no one left to trust and nowhere to go, he’s starting to lose hope. Then he meets Max, a thirteen-year-old American boy. Lonely and homesick, Max is struggling at his new school and just can’t seem to do anything right. But with one startling discovery, Max and Ahmed’s lives collide and a friendship begins to grow. Together, Max and Ahmed’ will defy the odds, learning from each other what it means to be brave and how hope can change your destiny. 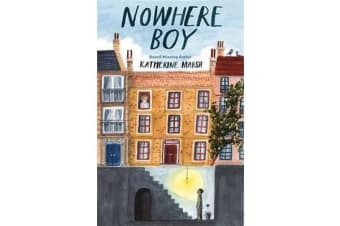 Set against the backdrop of the Syrian refugee crisis, award-winning author Katherine Marsh delivers a gripping, heartwarming story of resilience, friendship and everyday heroes.